I was skeptical about a revival of Kiss Me Kate. It is a fairly sexist show based on a very sexist play. It probably did not seem sexist or questionable when first performed. Both Shakespeare’s Taming of the Shrew and Porter’s Kiss Me Kate are classics, but they are problematic in their treatment of women. Somehow director Scott Ellis has put together a fun, massively entertaining, high spirited show that manages to avoid the stereotypes that inhabit both pieces. 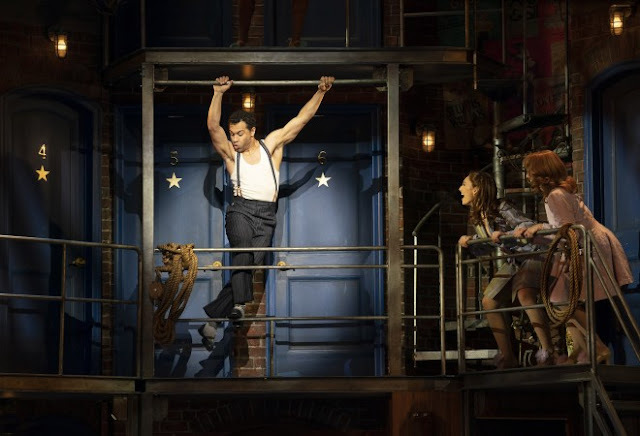 This Kiss Me Kate glides effortlessly through and around the problems, while preserving the energy and excitement of the original. The plot of the show is a device to hang some magical Cole Porter songs on. A theater is putting on Taming of the Shrew. The show within a show stars Lilli Vanessi (Kelli O’Hara) and Fred Graham (Will Chase) a formerly married couple. They are still in love - which is obvious to the audience, if not the couple involved. The secondary couple in Shrew, Bianca and Lucentino are played by Lois (Stephanie Styles) and Bill (Corbin Blue), a couple who are dating and still in the discovery phase. 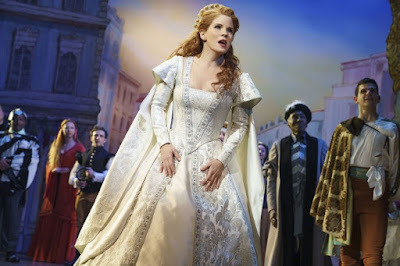 Kelli O’Hara’s voice is enthralling, and she is given full voice in most of the numbers. This brings new heartbreak to So In Love and an adult’s hesitancy to I Hate Men. Will Chase is no match for her voice-wise, no one is, and instead brings an adult perspective and weariness to his numbers Where Is The Life That Late I Led and So In Love. 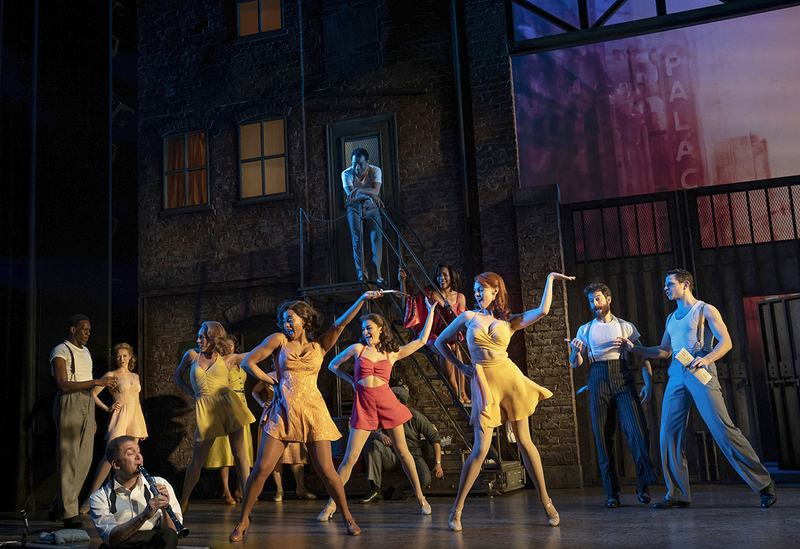 If that were all that was great here, I could highly recommend Kiss Me Kate, but this revival shines far beyond these two. The ensemble numbers stand out with amazing voices and dancing. Adrienne Walker steals Another Op’nin’, Another Show and James T. Lane leads the ensemble in bringing the audience to their feet in Too Darn Hot. Corbin Blue, more mature than you might remember, tears up the floor, the stairs, the railings and a ceiling dancing and tapping through Bianca. 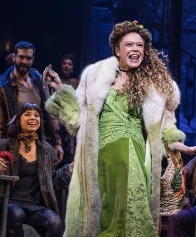 And Stephanie Styles blazes through Always True to You in My Fashion with a lot of stage business to cover the rather mercurial morals of the song. Only Brush Up on Your Shakespeare falls a little flat, and only due to repeated repetition. 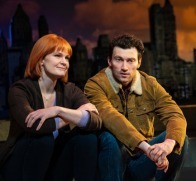 Amanda Green is credited with the additional material, and her material turns the show from a relic that one is a bit embarrassed to enjoy, into a flat out fun study of the growth of love in both sexes. 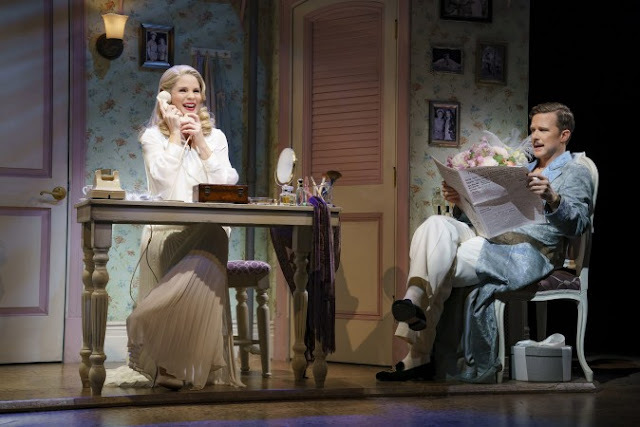 Admirably directed by Scott Ellis, who has experience with revivals like She Loves Me and You Can’t Take It With You, this production playfully pulls you in.